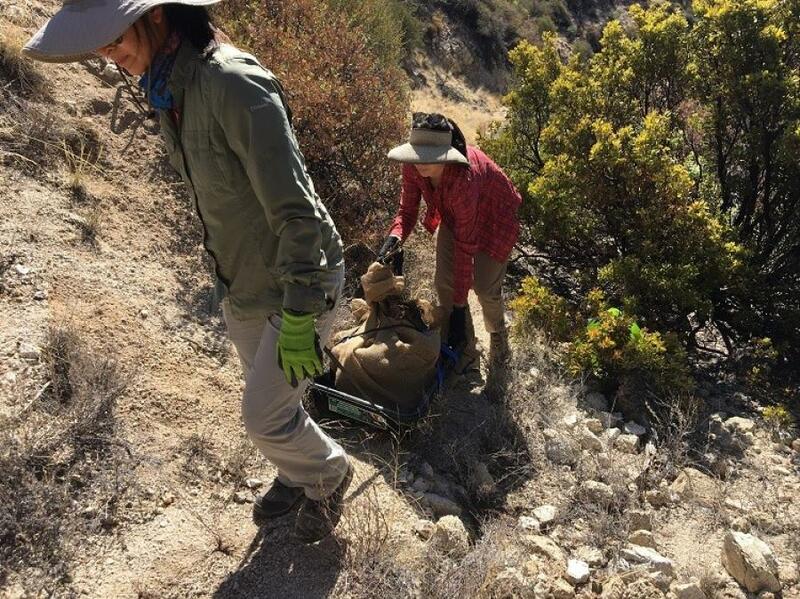 To prepare for a project replacing the Pinto Creek Bridge on U.S. 60 east of the Valley, biologists from the Arizona Department of Transportation and partner organizations spent several days working to protect a native cactus, in some cases rappelling down the canyon walls to do so. 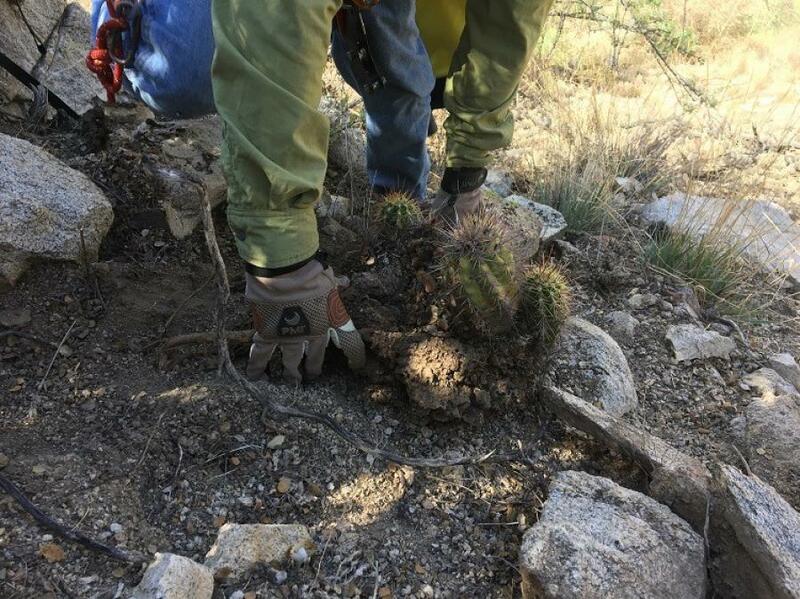 Their efforts over the summer collected samples, seeds and stem cuttings of the Arizona hedgehog cactus, which exists only in areas in Gila and Pinal counties north of the Gila River. "We have a responsibility to make sure the plants and animals that make Arizona special are protected," said Josh Fife, ADOT's biology team lead. "We're proud that the work we did will make sure the Arizona hedgehog cactus will continue to exist in the one special place in the world where they thrive." An upcoming ADOT project will replace the steel Pinto Creek Bridge, which spans a canyon at milepost 238 of U.S. 60 between Superior and Globe. Built in 1949, the bridge is outdated and well beyond its original life expectancy of 50 years. Workers will build supports for the new bridge and remove supports for the current bridge on slopes that are home to many Arizona hedgehog cactuses. Due the efforts of biologists and engineers from ADOT, the U.S. Fish and Wildlife Service, the Desert Botanical Garden in Phoenix and Tonto National Forest, items removed from areas that will be affected by construction will be replanted once work is complete. Some of the biologists rappelled into the canyon, while others worked on the rim to collect seeds and haul out samples. The Federal Highway Administration funded this effort. About a foot high, usually covered in spines and often with red flowers at the top, Arizona hedgehog cactus looks something like the small animal it's named after. The species is listed as endangered by the U.S. Fish and Wildlife Service and is protected under Arizona law. Protecting native plants and wildlife is part of every ADOT project. Along the South Mountain Freeway's 22-mi. corridor, for example, saguaros, barrel cactuses and palo verde trees are being kept in temporary nurseries until they can be replanted along the freeway. Meanwhile, biologists working on the project have relocated animals including chuckwallas and burrowing owls. New Ina Road bridges over the Santa Cruz River in Marana, built as part of an ADOT project creating a modern interchange at I-10, include bat boxes that have become a new home for bats that lived in crevices under the old bridge.